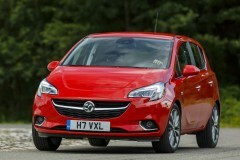 If you are looking at getting behind the wheel of a Vauxhall Corsa, you are in very good company. As of 2017, the Society of Motor Manufacturers and Traders (SMMT) records 1.2 million of the supermini car on the roads, making it the UK’s third best-selling car. There are plenty of reasons to choose the Corsa as your motorcar of choice. It’s a fuel-efficient hatchback available in a variety of petrol and diesel engine sizes and what’s more, it offers a good driving experience. The Corsa is a strong contender as fleet car or a family car thanks to how cheap to run it is, and the stylish design makes it an easy choice if you already have your eye on this car. If economy is a priority, then leasing the Corsa through a contract hire agreement of personal finance payment is also a good idea as it allows you to drive one for lower monthly payments. 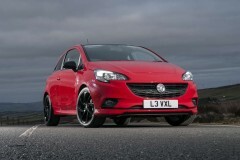 At Hippo we have a range of great lease deals on Corsa cars that you can browse. Hippo offers UK-wide delivery of all our vehicles, and for your convenience, we have no-deposit and low credit lease deals as well. To find out more about leasing the Vauxhall Corsa from Hippo, contact our team at 01254 956 666, or email info@hippoleasing.co.uk today.